Lewis Hamilton on pole. Nothing unusual about that, but what is unusual is that for the first time in 27 races he hasn't got his Mercedes team-mate Nico Rosberg in close company. Instead, it will be a different face alongside Hamilton, one he hasn't seen so high up the grid since 2013 - Kimi Raikkonen. Sebastian Vettel, meanwhile, is primed to pounce from third. The Tifosi will want to see a Ferrari fight tomorrow, will they oblige? Join us tomorrow 11:30 BST to find out. Almost time for us to wrap up, but it is worth mentioning that Red Bull failed to get a car through to Q3 for the first time since Brazil 2008, David Coulthard's last race in F1. The wait goes on for a non-Mercedes pole. Ferrari fans won't care though. They know they've got a great chance of seeing their team put up a fight tomorrow, and will be especially buoyed by Lewis Hamilton's pretty poor starts in some of the recent races. Andrew Benson's qualifying report is up and you can have a read here. Here's the top four's lap times from qualifying. Fourth is undoubtedly a big blow for Nico Rosberg, who heads into the race already 28 points behind his team-mate Lewis Hamilton in the championship. Kimi Raikkonen, meanwhile, is on the front row for the first time since 2013. He qualified second at the Chinese Grand Prix that year, finishing in the same position in the race. I'm very happy. The guys have done a great job with the car and we have improved reliability really well. We expected a strong weekend, knew this place is not our strongest and the car turned out to be pretty good. Nice to be here, its a home race for us. This was our best qualifying performance this year as a tam and will try and have another go tomorrow to get a good result tomorrow. Yes Kimi, I know it is hard to believe, but you are on the front row tomorrow. We have finished second and third and we are close to Lewis and that will give us confidence for tomorrow. I hope we both finish ahead of him, that would be a dream come true. But the Mercedes have serious pace which we have found out many times this year and we will have to fight and do all we can. Kimi Raikkonen has qualified in the top six at Monza for the first time since 2009. That, incidentally, was also the last time he finished on the podium at the Italian GP, taking third. Lewis Hamilton is speaking now in the post-qualifying news conference, flanked by Kimi Raikkonen and Sebastian Vettel. It has been a while since he has experienced that. Pole for Hamilton was his seventh in succession. He is now one short of Ayrton Senna's all-time record of eight. Mercedes have taken their 23rd pole position in succession, leaving them one short of Williams' all-time mark of 24, set over the 1992/93 seasons. Can anyone not see them breaking that record? Quote Message: That was a fantastic qualifying session with no drivers making big errors. Great battle lined up for tomorrow. Really strong comeback from Ferrari, didn't have pace in Spa, here they genuinely have the speed. That was a fantastic qualifying session with no drivers making big errors. Great battle lined up for tomorrow. Really strong comeback from Ferrari, didn't have pace in Spa, here they genuinely have the speed. Nico Rosberg can't better Kimi Raikkonen's effort! Raikkonen is on the front row at Monza! DING DING! Round two as the drivers head out for one final lap. Quote Message: Ferrari have not had a pole at Monza since Fernando Alonso in 2010. It would be massive if they could get one car and maybe two in front of Rosberg. Ferrari have not had a pole at Monza since Fernando Alonso in 2010. It would be massive if they could get one car and maybe two in front of Rosberg. The Ferrari fans like that! Huge cheers and vigorous flag waving as Sebastian Vettel currently sits second fastest after that first effort. Kimi Raikkonen third fastest. Could we be on course for a Ferrari on the front row at Monza? Quote Message: All out of that excitement left Rosberg in sixth place, he is struggling to find the balance to attack the lap. All out of that excitement left Rosberg in sixth place, he is struggling to find the balance to attack the lap. Nico Rosberg dips below 1:24 to briefly go top but he quickly tumbles down the timing board to sixth as Felipe Massa, Lewis Hamilton, Sebastian Vettel and Kimi Raikkonen all go faster. It is Hamilton who leads the way after that, with a 1:23.397. Everyone heads back in to prepare for one final attempt of locking down a strong position on the grid. Lewis Hamilton's pole time from last year - a 1:24.109 - has already been beaten. The Briton heads on out, with Nico Hulkenberg already out there and he puts a first time of this session on the board with a 1:25.317. Quote Message: Lewis Hamilton looks unstoppable, but it is the fight behind between the two Ferraris and Rosberg - there is nothing to separate them. Lewis Hamilton looks unstoppable, but it is the fight behind between the two Ferraris and Rosberg - there is nothing to separate them. Right then. Here we go. The top-10 shootout is under way. Will it be a Mercedes on pole? Or can Ferrari give their fans something to cheer about? Lewis Hamilton finishes fastest in the second part of qualifying for the Italian Grand Prix. Daniil Kvyat and Carlos Sainz emerge for a lap but their efforts are not good enough to get them through. Daniel Ricciardo, with his 25-place grid penalty to come, opts to stay in the garage. Quote Message: The average speed on the lap is 160mph, which shows the high speed nature of this circuit. The average speed on the lap is 160mph, which shows the high speed nature of this circuit. Sebastian Vettel rolls out for another run as his Ferrari team-mate stays put. Nico Rosberg is also back out. Four minutes left and it is Felipe Nasr and Romain Grosjean in danger at the moment from the 12 drivers to have set a lap time in Q2. Carlos Sainz, Daniel Ricciardo and Daniil Kvyat are yet to venture out of their garages. Then Kimi Raikkonen goes second fastest and you'd imagine that's Ferrari safely through to Q3, something they hadn't managed to do in three of the last five races. Cheers from the stands as Sebastian Vettel weaves his way around the circuit. He goes fastest in the middle sector...and completes his lap with the second fastest time, half a second down on Lewis Hamilton's benchmark. Nico Rosberg is fastest through all three sectors to go fastest of all with 1:24.128, but it is purple, purple, purple for Lewis Hamilton too and he is into P1 with 1:23.383. Quote Message: Assume whatever issue was with Rosberg's car, it is isolated to that particular unit otherwise they wouldn't be using Hamilton's as well. Assume whatever issue was with Rosberg's car, it is isolated to that particular unit otherwise they wouldn't be using Hamilton's as well. Those chunks of bodywork flying off Max Verstappen's Toro Rosso did make for some great television shots. Almost a terminator-esque look to the car as part of the interior was on show. Lewis Hamilton is given the nod to head on out, with Nico Rosberg also making his way onto the circuit. Quote Message: Looking at 1.24.3 to get through to Q3. Looking at 1.24.3 to get through to Q3. Fifteen minutes of Q2 is under way. No movement on the circuit just yet. That's the first time Jenson Button has qualified outside the top-10 on this track since 2008, his last season with a Honda engine. Quote Message: Max Verstappen has lost his engine cover, doesn't look like it was attached properly and the air has got underneath it and lifted the whole section off. Max Verstappen has lost his engine cover, doesn't look like it was attached properly and the air has got underneath it and lifted the whole section off. A 1:25.633 for Daniel Ricciardo is enough for him to sneak through into Q2, Max Verstappen gets out but loses a load of bodywork when on his lap. Daniel Ricciardo is out on the circuit and has one chance to make it through to Q2. Lewis Hamilton, Nico Rosberg and Valtteri Bottas, one, two and three respectively on the timesheet, are back in the pits. They've done enough to get through. Improvements from Sergio Perez and Nico Hulkenberg see them leap up to fourth and fifth. At the moment, Jenson Button, Will Stevens and Roberto Merhi are in danger of being eliminated. Max Verstappen and Daniel Ricciardo are yet to set a timed lap, but are getting ready to head out for what is looking like one crack at getting through. Jenson Button does a 1:26.796, putting him 16th and in the dangerzone at the moment. Fernando Alonso's first timed effort is only marginally better, a 1:26.763 putting him 15th. Quote Message: Most teams will have to go for soft tyres, to be sure to get through to the second part of qualifying. Most teams will have to go for soft tyres, to be sure to get through to the second part of qualifying. Lewis Hamilton improves with a 1:24.251 as Nico Rosberg leaps up to P2 with a time half a second slower than Hamilton's. Still waiting for the Red Bull of Daniel Ricciardo to emerge. Marcus Ericsson's Sauber gets in the way of Nico Hulkenberg as he attempts to complete a timed lap. "What's he doing," says Hulkenberg over team radio. Confirmation then follows that stewards are investigating Ericsson for that incident. Quote Message: Nico Rosberg had an engine change and has had to revert back to a power unit used at Spa two weeks ago. Mercedes used all seven of their tokens and only Lewis has them on his car. Nico Rosberg had an engine change and has had to revert back to a power unit used at Spa two weeks ago. Mercedes used all seven of their tokens and only Lewis has them on his car. Lewis Hamilton is out there too and goes fastest with 1:24.649. Nico Rosberg's first timed lap is a 125.315, the sixth fastest time. Thirteen timed laps so far. Roberto Merhi joins Manor team-mate Will Stevens on the circuit, both opting for the soft tyre. Jenson Button is also out on softs, with everyone else on the medium compound. Quote Message: To get through to Q2 we are looking at a 1:25. To get through to Q2 we are looking at a 1:25. The circuit is open and the first part of qualifying is under way. Will Stevens blasts out. After a damp final practice it is nice and dry at Monza right now. Blue skies and sunshine above the circuit, with air temperature a lovely 22C. Five minutes until qualifying gets under way and you can listen to commentary on BBC Radio 5 live right now. Monza is Felipe Massa's most successful track in the 2010s, having finished in the top six in every race this decade, scoring podium finishes in 2010 and 2014. The grid is starting to take shape for 2016, but we are yet to have official confirmation regarding who will drive for the new team on the block. Pole has been pretty important at Monza in the last decade, with eight of the last 10 races won by the man at the front of the pack. Rubens Barrichello is the only F1 driver in this millennium to have won the race from behind the front row, winning from fourth in 2002 and fifth in 2009. However, it has been less important if you wind the clock back a few more years, with 21 of the last 64 races won from pole. "Mercedes are changing Nico Rosberg's engine to his Spa unit after discovering a problem. Means he will be down on performance compared to Lewis Hamilton. "Also uncertainty about the state of Daniel Ricciardo's car following his engine failure in final practice." The Venice Film Festival is taking place at the moment. It is just a couple of hours drive from Venice to Monza, so will Johnny Depp bob over? We could do with the celeb count boosting. Right, we've got around 30 minutes before qualifying gets under way so let us know who you think the top three will be via #bbcf1, text in on 81111 (UK only) or post your predictions on the BBC Sport Facebook page. Today is World Beard Day apparently. Who knew? This chap did by the looks of it. Sterling work by the Mercedes crew member. We've got some great highlights on the site of past Monza races, including the 1999 Italian Grand Prix when Mika Hakkinen let slip the veneer to unwittingly reveal his more emotional side. Having spun off the track in his McLaren from the front, Hakkinen threw off his gloves and went to find a private area, some bushes, where he crouched and cried, thinking he was out of the sight of any watching eyes. "Red Bull's Daniel Ricciardo was using a brand new engine that would add to the 25 grid positions worth of penalties he had already accrued, but that failed in the course of the session, team boss Christian Horner saying the problem was "terminal". "Earlier, Horner attempted to make a joke of the situation, saying the competition for who can take the most penalties was closer than that at the front of the grid." Read Andrew Benson's report from third practice here. It must be getting increasingly harder for Daniel Ricciardo to maintain that dazzling smile. A hydraulics issue cut short his time on the circuit in third practice as Red Bull's Renault engine woes continued. Did you know that Monza has been witness to the fastest lap in F1 history? Or that the town of Monza once banned goldfish bowls. Find out why here. Monza will host an unparalleled 65th grand prix on Sunday, but its future on the F1 calendar is very much up in the air. There is currently no deal in place for the circuit to host a race beyond next year, with negotiations having reached an impasse. “It would be a shame to lose it because you have a historic circuit here. It should be here for the rest of Formula 1's life,” said Lewis Hamilton. Out and about? At home with an afternoon dedicated to Formula 1? Whatever you are doing, here's how you can follow the action today. Qualifying gets under way at 13:00 BST, with BBC Radio 5 live coverage starting five minutes before then on radio and online. Highlights will then be on BBC One at 17:00. “The clouds and thunderstorm of early morning are long gone, and with them the wet track they created. In their place is a gorgeous Italian early autumn afternoon, with bright sunshine and big blue skies, the foothills of the Italian alps clearly visible in the distance to the north of this atmospheric old autodromo. "A reminder of this place’s long history will come ahead of qualifying, when Sir Jackie Stewart laps the track in the BRM in which the legendary Scot took the first of his 27 grand prix victories back in 1965. Stewart took three world titles in his illustrious career - a tally Lewis Hamilton already seems almost certain to match in 2015. His 11th pole in 12 races looks almost as much a formality. "Help us Sebastian Vettel, you're our only hope." That, I promise, is the last tenuous Star Wars-reference I will be making because of the presence of George Lucas in the paddock today. There is, though, an element of truth about that quote. Given Kimi Raikkonen's struggles to compete for race wins this year Sebastian Vettel - winner in Malaysia and Hungary this season - is Ferrari's most realistic hope of scoring a victory at the Italian Grand Prix. The German was second fastest in final practice this morning, will he challenge Lewis Hamilton and Nico Rosberg for pole in qualifying this afternoon? It is five years since the Tifosi were last able to celebrate a Ferrari win at Monza, Fernando Alonso securing victory back in 2010. Since then only Lewis Hamilton and Sebastian Vettel have climbed the top step at the Italian Grand Prix. The good news for Ferrari fans? Vettel is now racing in their team's colours. OK we are just going to shut things down for a 45 minutes for a little break but we'll back at 12:00 BST for build up to qualifying. Here's a link to Andrew Benson's report and we'll see you shortly. So, a clean sweep of practice for Lewis Hamilton but for the first time in four races, it is not a Mercedes one-two in FP3, Sebastian Vettel splitting the two. That will be a welcome sight for the tifosi. "Sebastian Vettel was a lot closer than he was on Friday and hopefully that will continue because a Ferrari on the front row would make it interesting on Sunday." Lewis Hamilton finishes fastest in final practice for the Italian Grand Prix. "Who is talking on the radio all the time?" Kimi Raikkonen complains over team radio. Love a bit of Raikkonen radio. Quote Message: Just to confirm it was a hydraulics problem for Daniel Ricciardo, he'll have to take his seventh engine. Just to confirm it was a hydraulics problem for Daniel Ricciardo, he'll have to take his seventh engine. Faultless stuff from Lewis Hamilton and he goes fastest with 1:24.544, just over two tenths faster than Sebastian Vettel who had briefly occupied top spot. Sebastian Vettel messes up his lap as he gets his braking wrong at the second chicane and has to abort. He currently has the sixth fastest time, with Nico Rosberg leading the way with 1:24.908. Lewis Hamilton is on his first lap on the softs, though. Pastor Maldonado storms up into P2 with a 1:25.798. That was set on the softs, the compound of choice for almost everyone now. Into the final 10 minutes and a few more drivers are joining Max Verstappen in bolting on the soft compound tyres, Valtteri Bottas is one of them. Just remember to switch all four tyres this time, eh? Daniel Ricciardo's Red Bull is pushed to the edge of the circuit. He was told not to change gear and instead apply the brakes as he rolled to a stop. Meanwhile, Nico Rosberg pops up into P1 with a 1:25.480, putting him ahead of Sebastian Vettel, Felipe Massa and Valtteri Bottas. Nico Rosberg backs out of a lap as he gets a mouthful of smoke from a car in front of him but there's a yellow flag as Daniel Ricciardo parks his Red Bull at the second chicane. Thirteen drivers have completed at least one timed lap as we head into the final 20 minutes, no lap times yet for either of the Mercedes but Nico Rosberg and Lewis Hamilton are gearing up for one now. Sebastian Vettel goes fastest with 1:25.799 but those times are going to keep on coming down. After completing five laps on the medium tyre, Max Verstappen moves on to faster softs - the first driver to do so this morning. Felipe Nasr has made the switch to medium tyres and sets his first timed lap with a 1:30.921. Several others have also ventured out on the same compound, with Ferrari emerging for the first time in the session. Kimi Raikkonen immediately goes fastest with his first timed effort on the drying track, a 1:28.490, with Sebastian Vettel second fastest with 1:28.673. Jennie Gow has caught a word with Red Bull team principal Christian Horner, who suggests a Renault engine upgrade might not happen this year. "It looks like it will be delayed," he says. "There are problems with reliability. It may not even happen this year." It is certainly not a mass switch to dry tyres and Max Verstappen discovers that it is still a bit slippery as he locks up heading into Ascari. The wobble sees Carlos Sainz move top of the two-driver timesheet as he clocks 1:30.689. The sun is shining over the circuit, which is getting drier and drier, so Toro Rosso decide it is time to switch to medium tyres, sending out Max Verstappen and Carlos Sainz on the white-walled compound. No messing around with your Star Wars references after the sighting of George Lucas at Monza. We've had 15 drivers out for a brief test of the conditions with 25 minutes gone, both Ferraris among those waiting a bit longer for their first foray on to the circuit. There's an issue for Nico Rosberg, who reports a "strange oscillations in the power of the engine" over team radio. Lewis Hamilton, competing in his 50th grand prix weekend as a Mercedes driver, is out with the green-walled tyres on, with Nico Rosberg the only other driver also out on the circuit in a very tentative first 20 minutes for the drivers at Monza. It is the Toro Rosso pair who put a couple of early times on the board, although nothing meaningful - a 1:34.304 for Max Verstappen and a 1:36.405 for Carlos Sainz. "Not quite dry enough for slicks," reports Max Verstappen over team radio after his venture out on track. A dry line is beginning to form, though, so probably not too long before the switch is made. Fernando Alonso was not far behind Jenson Button in heading out on to the circuit, but both are back in after their exploratory laps. "No Ferraris any time soon, neither Sebastian Vettel or Kimi Raikkonen in the garage. They'll let others dry out the circuit and then head out, much to the delight of the crowd." Jenson Button, who only managed three laps in second practice because of water leak issue with his McLaren, is the first out on the circuit as one hour of practice gets under way. He has inters bolted on. "I am outside the Ferrari garage and it all quiet at the moment but I do have a bit of news for you. Sebastian Vettel has become a father again, he has had a little girl in the last few days. Funny isn't it that the two guys who had tyre blow-outs in Belgium, both became fathers in the same week." “Behind the Mercedes, the field appears to be the mix of Ferrari and Mercedes customer teams that was seen two weeks ago in Spa, with Force India and Lotus in the mix with Williams. "Red Bull were nowhere, and just how bad their situation is was summed up by Daniel Ricciardo, when he talked about beating Sauber (!). Little wonder, then. that the team plan to perform double engine changes on the cars of both Ricciardo and team-mate Daniil Kvyat. Grid penalties might just save Jenson Button and Fernando Alonso from being lumbered right at the back in tomorrow's race, with a couple of other drivers taking hits for engine changes. With one eye on the next race in Singapore, Red Bull have made changes in their Renault-powered RB11 that will see Daniel Ricciardo take a 25-place grid penalty on Sunday and Daniil Kvyat a 10-place drop from wherever he qualifies. Carlos Sainz will lose 10 grid places after the installation of a fresh Renault engine in his Toro Rosso. After a rainy start to the day, things are drying up in Monza as blue skies appear above the mountains in the distance, while Nico Rosberg has his usual kickabout with a football before heading off to prepare for practice. We had great fun yesterday reading all your tales of engaging in awkward small talk with F1 personalties, so keep them coming today. “Last year, Lewis Hamilton dominated the Italian Grand Prix weekend, his advantage over Mercedes team-mate Nico Rosberg founded largely on his stunning pace through the high-speed Ascari chicane. Is history about to repeat itself? "The world champion was in impressive form on Friday and although Rosberg lapped just 0.021 seconds from him on their qualifying simulation laps, the race runs proved Hamilton had a significant edge. "Rosberg admitted things had ‘not gone my way so far’ and also that Hamilton’s advantage came in the last two corners - Ascari and Parabolica. Saturday, he said, was ‘another shot’. OK, a quick run down of what is coming up and when. Cars will be rolling out on to the circuit at 10:00 BST for final practice, and you can listen to commentary online via the 'play' audio icon at the top of this page. Then, qualifying begins at 13:00 BST, with commentary on 5 live radio starting five minutes before. We'll also have all the build up right here from one hour before. “Those waking up near Monza on Saturday morning were greeted with rain and thunder, some might say a reflection of the darkness of the previous day, when the four highest profile drivers in the world were hauled before Bernie Ecclestone and told to stop bad-mouthing Pirelli. "The question of the morality of gagging three of the greatest drivers of all time was left unaddressed. After blow-outs for Nico Rosberg and Sebastian Vettel in Belgium last time out, tyre talk dominated earlier in the week. Fortunately, they were not the focus of Friday practice, with no driver suffering unexpected tyre failures. "The prospects of anyone getting near the silver Mercedes of Lewis Hamilton and Nico Rosberg this weekend are more distant than ever after a crushingly impressive performance in Friday practice. "A substantial upgrade to Mercedes’ engine, already the best in Formula 1, appears to have moved Mercedes up a level, and their rivals rolled their eyes at their pace. Lewis Hamilton, though, has much more important matters to think about than what is happening towards the back of the field, as he looks to move a step closer to a seventh race win of the season by securing pole in qualifying today. Hamilton was dominant on Friday, topping both practice sessions. Will he continue that today? "I never really notice them"
McLaren's struggles have been difficult to witness for many, not least Lewis Hamilton, who won his first world title with the team back in 2008. “I never really notice them, when I go past them," the championship leader said in today's Guardian. "I can’t tell the difference, whether it’s Fernando or Jenson. It doesn’t look like a McLaren. For me, a McLaren is always red and white, or the silver car I drove. Hello! 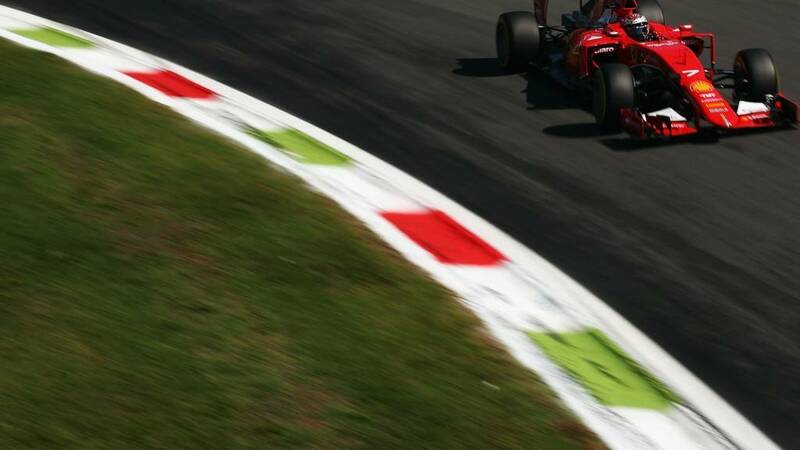 Welcome to our coverage of final practice and qualifying for theItalian Grand Prix. Arguably one of the most saddening things to have witnessed this season has been the fall of McLaren. With their engine supplier Honda having struggled for both reliability and performance in its first season back in the sport since 2008, it has largely been weekend after weekend of disappointment for Jenson Button and Fernando Alonso, who hasalready saidhe is expecting another "painful" weekend. More misery for McLaren at Monza? Here's a lovely picture. Blue skies, distant mountains and a field stretching off into the distance. Beautiful. However, for some people in Formula 1 - specifically Jenson Button and Fernando Alonso - the word 'field' probably sends a shudder down the spine.A record 105 grid-place penalties in Belgium last-time out because of a multitude of changes to their engine, 15 and counting in Monza.